Fork Food Branding are master chefs at cooking up eye-catching package design and appetizing marketing materials. Requiring a new mobile friendly and responsive website, Fork worked with Inkline Media to help market their portfolio of work they’ve completed for Canadian, US and global food and beverage industries. 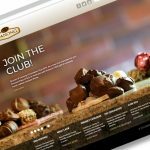 Inkline provided Fork Food Branding with a WordPress CMS to present featured case studies of clients they have helped. Content updates to the site are easily completed by the client. 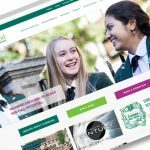 Strong photography and visuals of marketing materials are used throughout the website to demonstrate why FORK is one of Canada’s leading food and beverage marketing agencies.